Properties in Maibrunn Ski Lift average 4.6 out of 5 stars. Property 14: typical Apartment in the heart of national park "Hohe Tauern"
Sunny Apartment with Beautiful Views.Bad Kleinkirchheim. 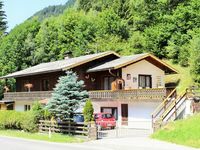 Property 30: Sunny Apartment with Beautiful Views.Bad Kleinkirchheim. Perfect apartment to discover the city, lakes and mountains! Property 39: Perfect apartment to discover the city, lakes and mountains! Bungalow in quietly located holiday park. Property 43: Bungalow in quietly located holiday park. Newly furnished appartment at the mouth of the Poller Valley National Park. 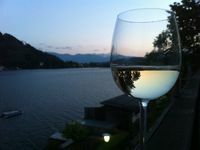 Property 45: Newly furnished appartment at the mouth of the Poller Valley National Park. Very nice well equipped apartment for comfortable stay of at least 10 people. Separated living room with kitchen corner is really good and its door seals well and noise from living room doesn&acute;t disturbe people in other rooms who can sleep. Bed rooms are comfortable, bathroom is sufficient. For winter - it&acute;s better to go by car to ski slopes,you can choose other lift than the nearest. But skibus station is about 300-400m. Owners of the apartment are very kind and pleasant people, no problem to agree on anything you need. We really recommend this aparment for your holiday!